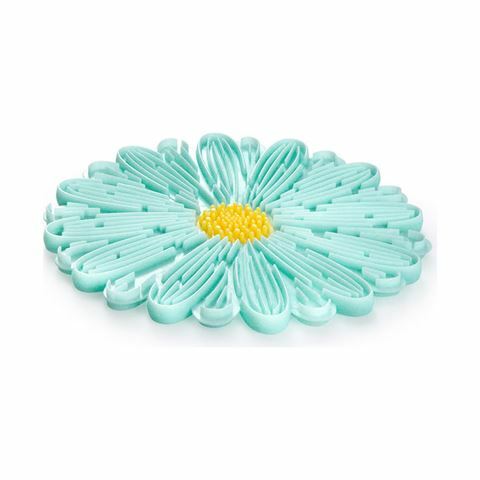 This Daisy Trivet is a clever tool for your kitchen bench or dining table. It's made from silicone that's heat-resistant to over 200ºC Plus, it has a unique air-flow design that diffuses heat and provides additional stability. Safe to use at high temperatures. Unique air-flow design diffuses heat and provides additional stability. Diameter: 16.5cm, suitable for pots and pans up to 33cm wide.